Jane Wooldridge has won many accolades for her writing, journalism, innovative ideas and leadership, including the Lowell Thomas Travel Journalist of the Year, a Knight Ridder Award of Excellence, Miami Herald “Smart Ideas” Award, Best Travel Section in its size category (Lowell Thomas Awards) and First Place/Feature Writing (Sunshine State Journalism Awards). At Duke University, she was named an Angier B. Duke Scholar. Jan e Wooldridge provides strategic direction for the Miami Herald’s business coverage on multiple platforms and edits stories that appear across print and digital platforms, including the newspaper’s Front Page and the Art Basel Miami Beach issue of the Miami Herald’s Indulge luxury lifestyle magazine. Previously she oversaw all Miami Herald Travel editorial products, including Sunday Travel, an online travel section and WG (Weekend Getaways). During her career, she has led creation of many new publications in print, online and in video. In more than 25 years as a newspaper journalist, Jane Wooldridge has written about and/or edited coverage of business, news, community, travel and lifestyle. She has worked at The Miami Herald, The New York Times, The (Raleigh) News & Observer and The Virginian Pilot. 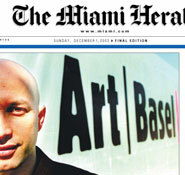 She is often called on by The Miami Herald to cover major events. Jane Wooldridge was an online journalism pioneer and served as Executive Editor / Executive Producer of Destination Florida, a Knight-Ridder Tribune Joint Venture published in the mid-1990s on both AOL and on the World Wide Web. 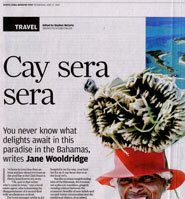 For a decade Jane led the Miami Herald’s online Travel section and wrote the popular blog, Travels with Jane. In 2006, with help from multimedia journalist Stephanie Rosenblatt, she blogged an award-winning cross-country trip “driven’’ by readers, who voted online daily to direct her path, and now She now blogs occasionally at Five Stars to Under the Stars. Working with the in-house development team, she has led creations of several app-style responsive websites for the Miami Herald Media Company. Jane Wooldridge is a popular TV guest who has appeared on The Today Show, The Travel Channel, My 33 (Miami), NBC-6 (Miami) and many radio shows, including Peter Greenberg Worldwide. She is host ofTravel on Demand, broadcast on MiamiHerald.com and on Comcast’s “On Demand’’ channel in South Florida. 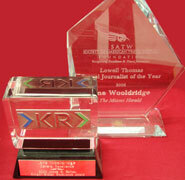 Jane Wooldridge is a winner of the Lowell Thomas Travel Journalist of the Year award, travel journalism’s highest honor. 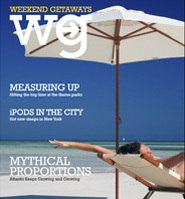 She is co-author of the 2011 National Geographic book, The 100 Best Affordable Vacations to Enrich Your Life. Jane’s work has appeared in newspapers, magazines and websites throughout the English-speaking world, including the South China Morning Post, the Sydney Observer, The Seattle Times, Chicago Tribune, the Oregonian, AAA Westways and Budget Travel Online. For a decade she was the Travel Editor at the Miami Herald Media Company and a contributor to the McClatchy-Tribune wire. Whether she’s choosing stories for publication or writing herself, Jane sees her role as a knowledgeable advisor who seeks to fairly evaluate experiences for the traveler for whom they are intended – not according to personal preferences or promotional hype. Specialties include cruises, Latin America, Asia and adventure travel. Jane Wooldridge’s evocative writing is accompanied by her eye-catching photography from destinations spanning the globe.